«Dilijan National Park» is situated in the north of Armenia, in one of most picturesque areas. The main subjects of protection are beech and oak forests that also include some pines (Pinus kochianus), as well as the shady yew grove of Hakhnabad with impressive Taxus baccata trees and a few springs-fed lakes. The most beautiful of the latter, Parz Lake, is situated in the heart of the dense forest at the altitude of 1400m above sea level. While the National Park does not present the whole diversity of the flora of Northern Armenia, it has over 1000 species of plants in the area of 28 000 hectares. The main wood and bush types are oak (Quercus iberica), beech (Fagus orientalis), different types of hornbeam (Carpinus caucasicus, C.orientalis), as well as ash-tree, some types of lime tree, maple, caprifoil, spindle tree and others (Fraxinus, Tilia, Acer, Lonicera, Euonymus). Numerous plants like rare Jobs-tears (Lycnnis flos-cuculi), different orchids, and fritillaria (Orchidaceae, Fritillaria) are included in the Red Book. In the parks fauna 107 species of birds are distinguished such as Common Buzzard, Goshawk, Sparrowhawk, Black Kite, Lesser Spottled Eagle, Honey Buzzard, Wood Pigeon, Eagle Owl, Tawny Owl, Caspian Snowcock, Caucasian Black Grouse, Golden Eagle, Lammergeier, Griffon Vulture, Quail, Grey Partridge, Twite, Red-fronted Serin, Rock Sparrow, Rock Buntiag, Skylark, Crested and Horned Larks, Choug, Raven, Western Rock Nuthatch, Hoopoe, Kingfisher, White and Grey Wagtails, Dipper, Black-necked Grebe, Great White Egret. There are 45 species of mammals such as brown bear, wolf, fox, badger, beech marten, vair, bobcat, and even a small number of leopards. Very common are wood mice, Persian squirrel, loir, dormouse, brown hare, wild boar, axis deer and roedeer. There are 16 species of reptiles and 4 species of amphibians, Armenian, Rostombekovs and three-lined lizards, marsh and common tree frogs and green toad among them. 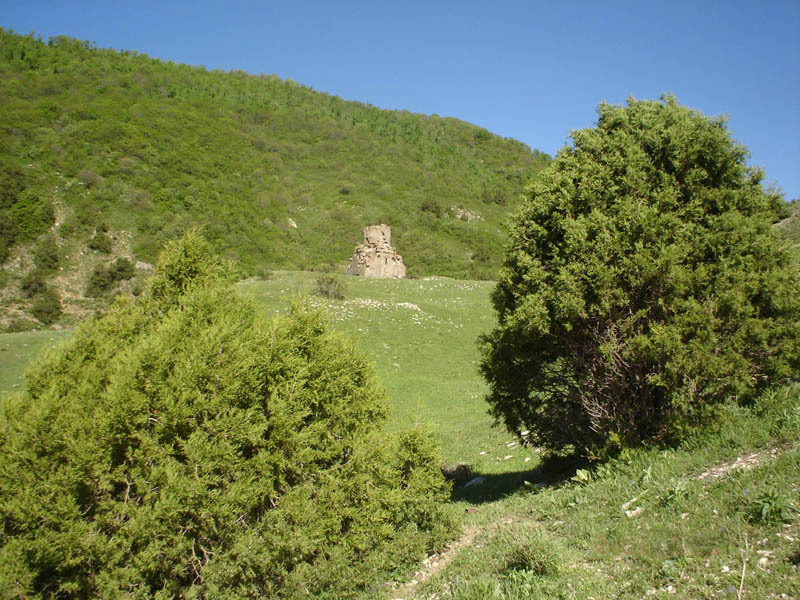 There are numerous historical-architectural monuments and archeological sites on the territory of the National Park. These include the Goshavank and the Matosavank Monasteries, the Hakhnabad Church, and the pearl of medieval architecture, the Hagartsin Monastery of the XIII DE. In the National Park one will find ancient settlements, medieval cemeteries, chapels, and cross-stones.